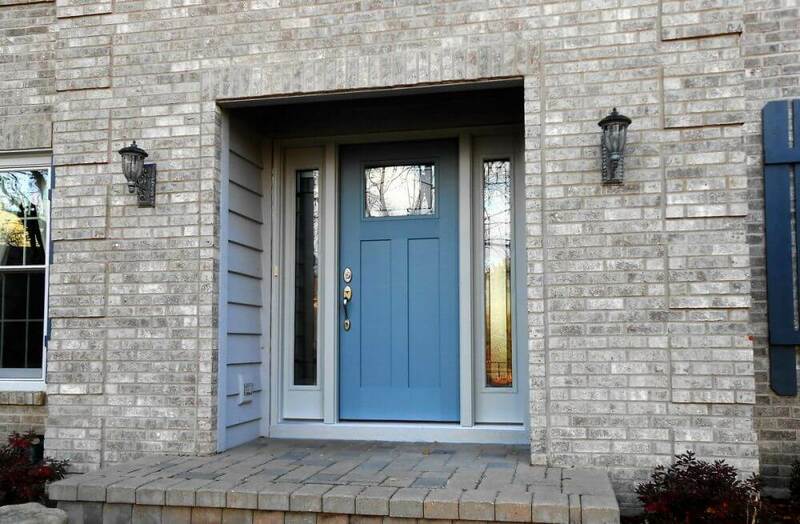 So you’ve ordered a new door installation for your Dupage County home. What’s next? Many homeowners can live in their home for years and never need a replacement door or a new door installed. If you’ve never had the experience, you might not know what to expect when it comes time for your door installation. Fortunately, you can always call your professional door contractors to ask any questions that you might have. But if you just want a general idea of what to expect from the door installation process, we have you covered. Here’s a guide, from the consultation to the departure of the construction workers, to your professional door installation. The first steps towards your door installation, of course, is to contact your professional door contractor, tell them about your project, and shop their door selection. If you’re unsure what door would best fit your needs, they can help you choose the door that best fits your home and your budget. Next, an installer will come to your home to measure your doorway, ensuring that the door they deliver is the perfect fit. After that point, you’ll receive a quote for the door and the installation. Then you’ll schedule an installation. The time between your quote and the installation date will depend on how busy the contractor is at that time and whether or not you have a custom order. Home improvement contractors watch the weather vigilantly. If you need an interior door installation, it little matters what the weather outside might be. If your entry door will be installed under a porch, rain might not hamper your installation. However, in the event that weather might be a problem for your installation or that products didn’t come in on time, your contractors will contact you ahead of time and tell you that there could be the possibility of a delay. If you have pets, now is the time to corral them into a pen or a closed room so that they stay out of the way of the installers. Your door installers should show up on time and, before they start working, they’ll introduce themselves. There should be a foreman or project manager on site and you can direct any questions to them. Next, they’ll start to prep the area, putting down any tarp to catch debris that might fall in taking out the old door or installing the new one. At this time, if you want to leave the house for the time of the installation, you can do so. The installers will then take out the old door and hinges, place new hinges on the new door, install it, and set the new locks and, if applicable, deadbolts. If you’ve left the house, the foreman will call you when the project is finished. Any insulation or added support is also added to make sure that your door continues to perform well for as long as possible. The whole process usually takes about 3-5 hours or less, depending on the type of door you have installed. A double door will take longer to install than a single door and, of course, a prehung door will take significantly less time to install than an all new door. After the door installation, the crew will clean up the area and leave you with your newly installed door. With an expert installation, that should be the end of the story for as long as you live in the home. However, if you notice any problems with your door shortly after the installation, don’t hesitate to contact your door installation contractors to come out and fix the problem. Your door should come with a warranty that covers repairs for a certain amount of years. Other than that, enjoy the added security and curb appeal of your new door! At The Door Store in Dupage County, we take door installation seriously. An expert installation is one of the most vital aspects to customer satisfaction, not to mention savings. Take a look at our masterful installation to see why our installations stand out from the competition. Interested in having your own door installation? Contact us today for a free quote.